1. Baking dish or casserole dish. 2. Two cans of cream of chicken soup undiluted. 4. Two cups of boneless chicken cut into bite sized pieces. 1. Boil chicken in water ten minutes. Drain on paper towel. have enough to crimp edges. 3. Poke holes with fork on pie crust on bottom of dish. 4. Pre-bake bottom pie crust at 325degrees Fahrenheit for five minutes or until slightly brown. 5. In large bowl place chicken,two cans of cream of chicken soup (undiluted) and drained vegetables and blend together. If too thick, you may add a 1/4 can of water and blend together. 6. Pour mixture into casserole dish and press down slightly to be sure all sides have been filled evenly. 7. Cover top with second pre made pie crust. 8. Cut dough evenly around top and pinch together using two fingers on one hand supporting bottom crust and pushing one finger on top crust pushing all fingers together. If you cannot make it look as you wish you can evenly press to dish with tines of a fork all around the dish. 9. Make a design with knife poking all the way through crust to ensure steam can escape while cooking. I usually make a wheat design. If you wish to make just slits across. That’s fine too. 8. 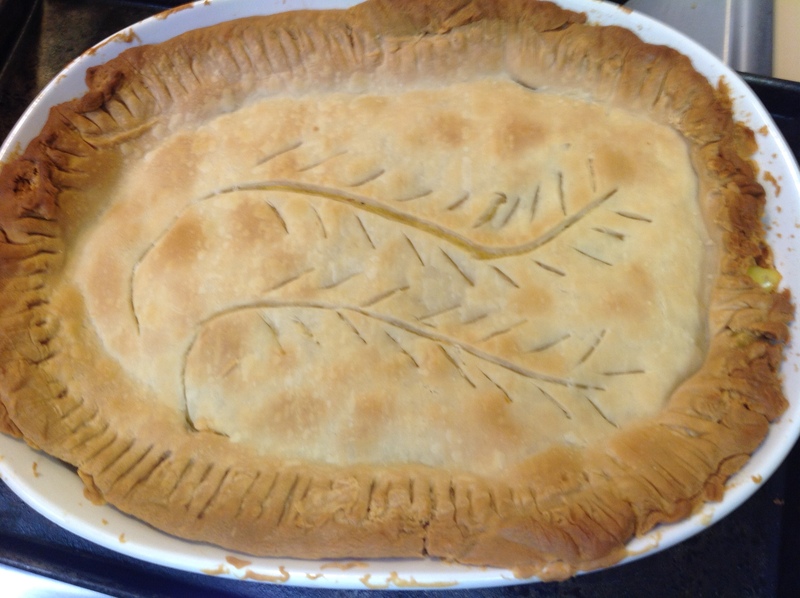 Place in preheated oven and cook according to pie crust directions. 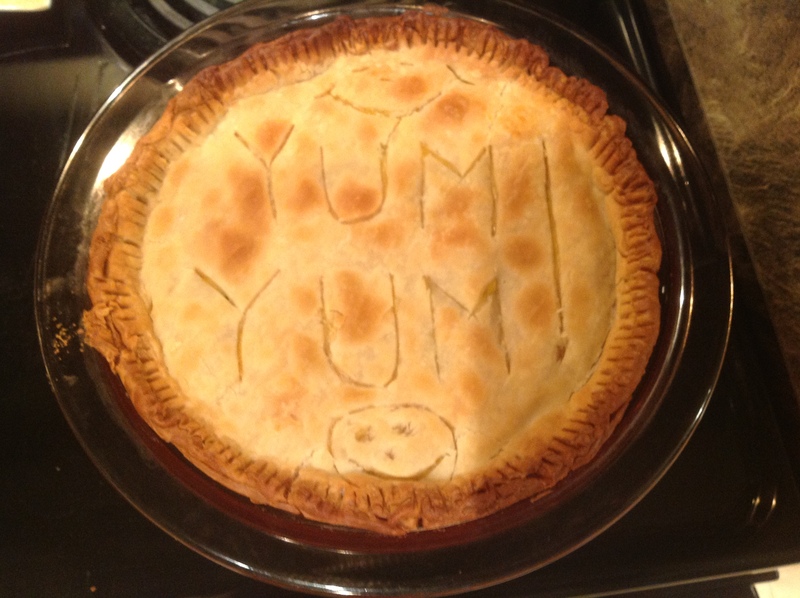 SEE MY PERSONALIZED POT PIE IDEAS THAT ARE SURE TO BRING A SMILE.